Shosan Haran of Fair Planet Seeds introduced her organization during the Access to Seeds Index Round Table in Addis Ababa. It is often said that developing varieties fit for the conditions of new markets is a capital intensive and a long-term process. The example of Fair Planet illustrated that this does not need to be the case. Many – some said millions – of varieties are available on the shelves of seed companies that are known to be suitable for the climate, altitude and day lengths of the currently untapped markets. These might be the low hanging fruits to start with. 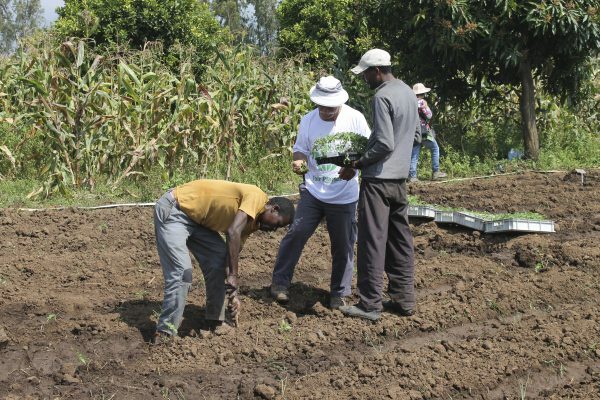 Fair Planet Seeds brings existing high quality varieties from leading seed companies to developing countries like Ethiopia, where it performs variety trials of these varieties. They evaluate both hybrid and open pollinated varieties and present the advantages and disadvantages of both. Thus, providing an increased freedom of choice to farmers in the region. By using agricultural practices that are readily available and affordable to smallholder farmers, and by focusing on training and capacity building, a sustainable adoption of high quality seeds by these farmers is enabled.